5 November. The Confederate government dumps some 8,000 Union prisoners on the prison at Salisbury, North Carolina. Eventually more than 10,000 men will be confined in a hell hole even worse than Andersonville. 8 November. Lincoln, running against General George B. McClellan, is re-elected by more than 400,000 popular votes including votes by soldiers in the armies. This move by several states to allow the men in the field to vote while away from home is a first in U. S. history. Andrew Johnson of Tennessee is the new Vice President. 15 November. Sherman issues orders to destroy everything of military value in Atlanta. The city burns, and although it is not the first or the last city to do so, it leaves an image that will endure in American songs and stories. To fight for General Lee. I must be southward bound. 16 November. Sherman leaves Atlanta with 62,000 men and begins his 300 mile "March to the Sea". 22 November. On the run from a Confederate prison in Columbia, South Carolina, Charles Mattocks and his companions are trying to reach Union forces in Tennessee. His carefully kept diary entries talk about the wonderful food given them by local Negroes and Union supporters in the North Carolina mountains, especially the apples. Today's entry notes, "This is a great region for "bushwhacking" and many a bloody battle has been fought between the outlyers and the provost guards sent to hunt and arrest them. Every man, even every boy above 12 years of age is thoroughly armed, and it [is] said that the long, old-fashioned, but deadly rifles, have at times made sad work with the emissaries of Jefferson Davis." Charles will make it to within a mile and a half of the Union lines, only to be recaptured. 25 November. The Confederate Secret Service equips eight agents with "Greek fire", a flammable substance, to use in a plot to burn New York City by setting fire to hotels and other public buildings, including P. T. Barnum's Museum. Most of the fires are quickly extinguished without casualties. One agent is caught and hung; the others escape to Canada. This month in Robeson County, North Carolina relations between the Lumbees, local people of Indian descent, and the surrounding whites worsen. As non-whites the Lumbee men are being used as forced labor on the defenses of Wilmington. While Lumbees are serving in the Confederate forces, as Sherman's army draws nearer, Lumbees find themselves making common cause with Union escapees from a nearby prison camp. As in other areas of the state, the fighting between local people will escalate and become bloodier. John McGavock, the husband of our eponymous heroine, isn't even dead when she begins wearing black, but the mantle of mourning seems to fit Carrie McGavock. Having lost three young children, it is perhaps appropriate that she becomes the caretaker of over 1500 Confederate dead, all killed at the Battle of Franklin, TN, in 1864. Based on a true story, music publisher Hicks's first novel brings the reader onto the battlefield and into the lives of its survivors, including Zachariah Cashwell, an Arkansas soldier whose presence at the makeshift hospital established in the McGavock home shakes Carrie out of her stupor: "I had discovered why I had been drawn to him," she says. "He is a living thing, not a dying one." And it is life, after all, that drives Hicks's story. We know from the outset about Carrie's cemetery, but her journey to that place is compellingly told. This fast-paced historical novel set during the last bloody months of the Civil War is a well-crafted blend of action and romance. At the end of 1864, idealistic young Union nurse Lorena Blaire volunteers to infiltrate the Confederate army in Tennessee via the medical corps of the brilliant and elusive General John Bell Hood, and to report his movements to the Union commanders. Convinced of the righteousness of her mission, Lorena sends word that Hood's First Texas Cavalry Regiment, devastated by the Battle of Franklin, is moving to Nashville. But Lorena's moral certainty gradually dissolves as she assists surgeon Jonathan Cross and witnesses his attempts to save lives under primitive conditions, with no medicine or supplies. Drawn to this gentle, compassionate man, Lorena is horrified when she realizes that, because of her actions, Union forces are bearing down on Nashville to destroy the weak Confederates, including her beloved Jonathan. Not a traditional romance novel, due to vivid descriptions of the horrors of war. In simple sentences for those who have just begun to read proficiently, Hopkinson tells the story of a slave boy who runs away to join the Union army. Short chapters and detailed watercolors aid the transition to more difficult text, while an exciting plot based on a true Civil War story keeps readers interested. No fighting is portrayed; the story centers on a harrowing trip Johnny makes to take supplies to a team of soldiers. A worthwhile addition to beginning chapter-book collections. Gr. 1-3. Patrick Cleburne came to America from Ireland as impoverished gentry during the Great Famine period. Shaped by the harshness of the British army and his Irish heritage, his concept of freedom was more political than inalienable. When his adopted country was ripped apart by Civil War, Cleburne came from nowhere to gain fame and immortality as the highest ranking Irishman of either army, and the most capable division commander of the Confederate Army. These eleven highly readable essays explore diverse topics, including the influence of Cleburne's Irish background on his decision to fight for the South, his proposal to enlist slaves; an examination of his strategy and command skills, and the poignant romance cut short by his untimely death in the Battle of Franklin. A dramatic real-life adventure story, this book chronicles the Civil War experiences of Charles P. Mattocks, a major in the Union Army of the Potomac. At the tender age of twenty-three, he took successive command of the Seventeenth Maine and the famous First United States Sharpshooters. With an "unspoiled heart," he fearlessly led his troops in the crucial battles of Chancellorsville and Gettysburg as well as in several minor skirmishes. During the Battle of the Wilderness, Mattocks was captured, imprisoned by the Confederates, and escaped into the mountains of North Carolina, where he was recaptured by Confederate Indians. After nine months in different Confederate prisons, Mattocks was exchanged in time to participate in the Battle of Sayler's Creek, in which his bravery earned him the Congressional Medal of Honor. Mattocks's journals include details about the officers' prisons in Georgia and the Carolinas and about the anti-Confederate slaves and white Unionists who aided him in his escape. Of particular interest are his invaluable descriptions of Sayler's Creek, the last great battle involving the Army of the Potomac and one that has often been neglected in Civil War literature. This well-researched, well-written biography of the man credited with documenting the American Civil War focuses on Brady's professional life as a photographer. Although Brady is shown on the battlefield, he seldom photographed these scenes himself since his eyesight failed rapidly. Instead, as an enterprising entrepreneur, he hired others to trek to the sites and capture on film the horrors of the war. These pictures quickly dispelled the idea for the American public that battles were merely Sunday afternoon entertainment. 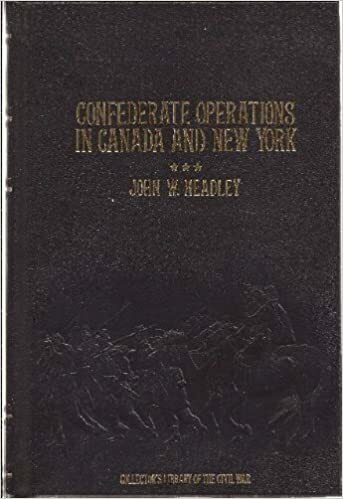 Civil War buffs will find this excellent resource useful for information for reports as well as interesting reading about Brady and the part his photographs played in American history. A fascinating look at photography in its earliest stages, competently illustrated with black-and-white photos and reproductions of prominent figures of the time, battle scenes, and appropriate places and events in the subject's life. For older children and YA readers.